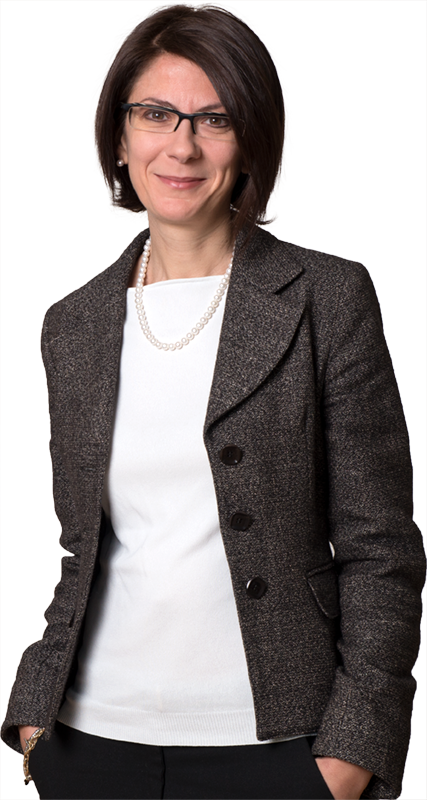 Irene Picciano was appointed Partner in 2005 and she is jointly in charge of the Brussels office of the Firm. She obtained a Postgraduate Master Degree (LL.M.) in European Law and Economics at the European College of Parma. In 1999 she joined the Law Firm being in charge of the Brussels office as resident associate. Irene gained a considerable experience in the fields of EU & competition law, regulatory & compliance, commercial and contract law. Irene Picciano regularly assists clients before the European Commission, national Competition Authorities and European and national Courts on cartel and abuse of dominance cases, “dawn-raid” investigations and competition risk assessment and management including self-assessments under relevant EU regulations, M&A assessment and filing, and regularly coordinate antitrust compliance programs. She also accrued a significant experience in the field of regulatory and compliance, in a wide range industry sectors, at national and cross-border level, and provides regular assistance on trade, product and corporate compliance issues supporting multinational companies to comply with complex regulatory framework. Within her EU sector expertise, she also deals with issues of freedom of establishment and rendering of services, complaints to the European Commission, State aid and structural fund and has been assisting multinational companies in organising and managing their distribution networks both on national, cross border and EU basis, dealing with relevant contractual and commercial aspects involved, as well as in negotiating and implementing joint production, technology transfer, subcontracting and procurement agreements etc. Irene is assisting and advising multinational clients operating in a wide range of industry sectors: food & beverages, fashion & luxury, retail, consumer goods, automotive, betting & gambling, medical devices, healthcare products, cosmetics, chemicals, pharmaceutical products. She is member of the UAE (European Lawyers’ Union), Brussels Association AntitrustItalia and co-responsible of the ASLA Corporate Compliance Group. She is author of over 100 publications and legal articles and regular lecturer in conferences and seminars and master programs. She is regularly mentioned on Legal 500 and in the Top Legal guide. She has been selected by the Directorate General for Competition of the European Commission as its Non-Governmental Advisor (NGA) within the International Competition Network for the year 2018-2019. NORMATIVA CITES - QUALI OBBLIGHI PER LE AZIENDE? Assisted a world-wide automotive group in relation to several antitrust compliance and risk assessment issues relating to the implementation and assessment of the selective distribution systems for automotive dealers and repairers under EU Regulations n.330/2010 and 461/2010 and several litigation proceedings entailing abuse of dominant position, abuse of economic dependence, and unfair competition. Assisted a leading French dermo-cosmetics company in reviewing its selective distribution contracts and setting up its Italian on-line sales distribution model in accordance to the relevant Block Exemption Regulation n. 330/2010 following an ECJ judgment referring to its network. Assisted a leading European gaming and betting operator in Italy, other European jurisdictions and at EU level, in relation to, amongst others: defense, representation and hearings before the Court of Justice on issues of freedoms of establishment and to render services in Italy and Greece; defense and representation before the General Court on issues of abuse of dominant position in Greece under art. 102 TFEU; complaints to the European Commission against Italy, Greece, on issues of freedoms of establishment and to render services concerning public tenders, procurement, abuse of dominance and State aid issues in the gaming sector; complaints to the European Ombudsman; lobbying, strategic and litigation issues based or resting on EU law of freedoms of establishment and to render services, competition, State aid, in several EU Countries (Greece, Denmark, Sweden, Germany, The Netherlands), in coordination with local counsel. Assisted a major Dutch brewer on merger deals and vertical issues, EU and national antitrust investigations and dawn-raids, relevant proceedings before the European Commission and Italian Competition Authority, antitrust compliance programs, merger filings, self-assessment procedures under Reg.1/2003/CE (and former prior notification procedures), with reference to horizontal cooperation agreements and vertical agreements and rebates policies, general compliance matters and unfair commercial practices. Assisted an Italian pharmaceutical company on several antitrust and unfair commercial practices issues and acquisition of pharmaceutical licenses. Assisted the Japanese world’s largest full range printing and semiconductor technology companies on merger issues relating to a world-wide alliance, antitrust compliance programs, and self-assessment procedure under Reg.1/2003/CE. Assisted several major world wide fashion companies on vertical competition issues entailing their EU distribution networks (selective, franchising and on-line sale distribution networks), refusal to deal and compliance aspects according to relevant EU BERs and unfair commercial practices. Assisted a world-wide medical devices and optical market leader on several antitrust compliance and risk assessment issues and antitrust compliance programme. Assisted a major US raw tobacco processors, in EU cartel cases and following appeal to ECJ. Assisted a major multinational pharmaceutical company in relation to a dominant position case before the ICA involving the refusal to grant a voluntary export license for an active principle to generic manufacturers. Assisted an Italian bathroom fitting company in a EU cartel case whose outcome was the total discharge from any allegation. Assisted an Italian medical devices company in several multiple filings across EU and third countries. Assisted a US fashion and fragrance company on regulatory issues entailing the placing on the EU market of fragrances and apparel products ( ingredients’ technical and safety data sheets, product safety reports, notification procedure, REACH legislation) consumer protection, product liability, labelling and packaging and other product and trade compliance issues. Assisted an Italian consumer electronics company on regulatory issues entailing the placing on the EU market of its electronic products (labelling and packaging issues, CE marking, consumer claims, REACH and WEEE legislation, non conformity/RAPEX procedures) in accordance with relevant EU and national legislation and trade compliance issues. Assisted a US medical devices company in Italian pre-marketing clinical trials sponsored by pharmaceutical companies in compliance with applicable local legislation and authorisation regime (entailing the Italian medical agency self-certification and notification regime). Assisted a US cereals & snacks producer on labelling and packaging issues in accordance to relevant food and nutrition claims legislation. Assisted a worldwide French health-based micronutrition and phytotherapy company and its Italian nutraceutical subsidiary in several regulatory and compliance issues, market studies. Assisted an Italian medical device company on regulatory issues entailing the placing on the EU market of certain products, CE marking, Italian notification regime, DoC certificates in accordance to relevant medical devices legislation. Assisting and representing clients operating in a wide range of industries in negotiation, drafting, implementing quantitative and qualitative selective distribution, agency, franchising, exclusive distribution, exclusive supply, consignment, dealership, on-line sales, licensing agreements, co-existence agreements, procurement contracts on national, cross border and EU basis. Assisting clients operating in a wide range of industries (amongst which personnel recruitment, pharmaceutical, medical devices, automotive and spare parts, insurance and luxury goods) in regulatory and corporate compliance activities (antitrust, 231/01, data protection, anti-corruption).